Supplied by ACHSV 4×4, Silverstone. Fitting available at an extra cost. 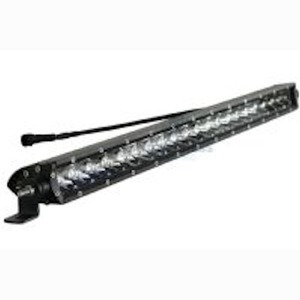 The WDS0046 Wilderness Lighting SOLO 10″ Single Row LED Light Bar belongs to our range of single row light bars, these small yet very powerful lights produce a massive 5390 Lumens of light from 10 x 5 watt OSLON white LED chips giving visible beam distance of 913m. The low energy consumption technology means they only consume 3.3 amps of power. 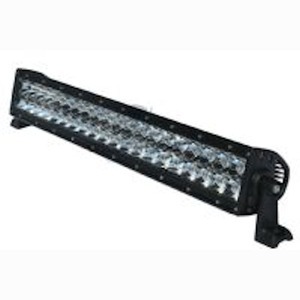 Compare these figures to a standard 55 watt halogen light found on many vehicles which produce only 900 lumens of light while drawing 4.6 amps of power. 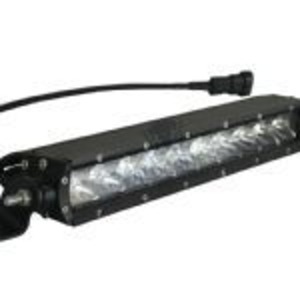 These lights not only look good but they are also very tough….. with a market leading water and dust ingress rating of both IP68 and IP69K means you can actually wash the lights with a high pressure spray with a temperature of up to 90 degrees. 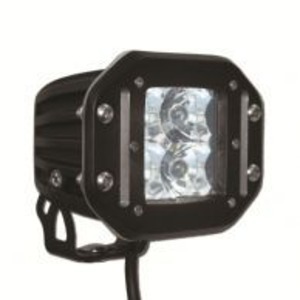 The housing of the light is made of weather-resistant and waterproof aluminium and coated with a UV-resistant paint to prevent chipping and fading for a lasting finish. The standard colour is black however we can supply these in a marine white finish or yellow finish usually found within the quarry industries. Custom paint colours can also done at extra cost . The lenses used are equally hardwearing as its aluminium housing. The 3mm Lexan lens are optically transparent despite being unbreakable and scratch-resistant.